For Groundhog's Day, the Sonic Team decided if a Groundhog could tell whether it was going to be a long or short winter, why should the predictions stop there? And thus, the Sonic Groundhog Predict-A-Thon was born. 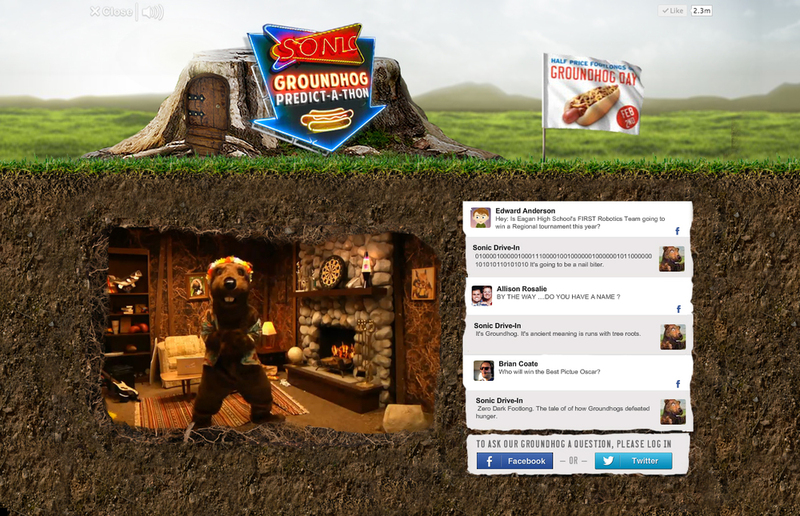 It was live streaming event where people could ask a costumed Groundhog to gaze into their future. I was part of team of writers to answer for the Groundhog and we had only about a minute to answer each question. These are my favorites from my own responses and yes, before you ask, I did retain my future telling capabilities.